Explanation: An image snapped on July 7 by the New Horizons spacecraft while just under 5 million miles (8 million kilometres) from Pluto is combined with colour data in this most detailed view yet of the Solar System's most famous world about to be explored. 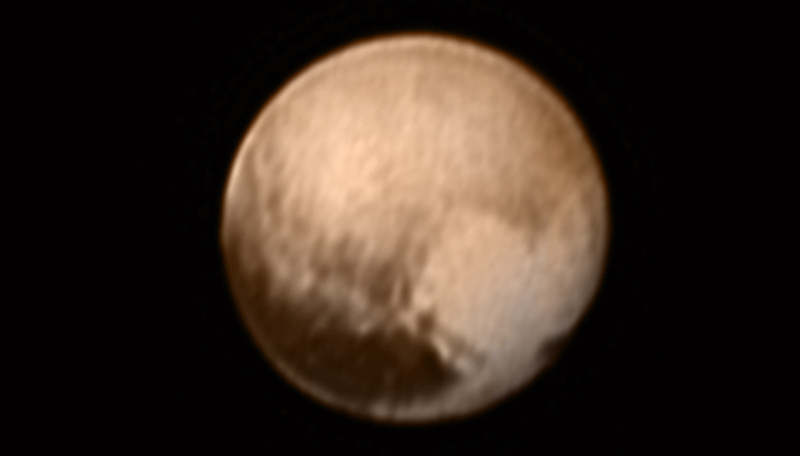 The region imaged includes the tip of an elongated dark area along Pluto's equator already dubbed "the whale". A bright heart-shaped region on the right is about 1,200 miles (2,000) kilometres across, possibly covered with a frost of frozen methane, nitrogen, and/or carbon monoxide. 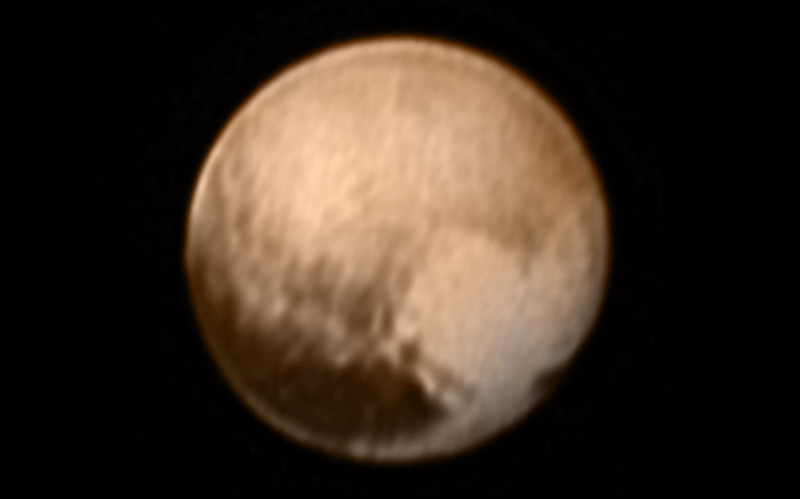 The view is centred near the area that will be seen during New Horizons much anticipated July 14 closest approach to a distance of about 7,750 miles (12,500 kilometres).